There are two companies we can blame for creating time wasting “apps” and ecosystems on the social web that distract us from the serious matters at hand every day. It is not hard to guess…. Apple and Facebook! In fact walking down the street is becoming more dangerous as people with their earphones plugged in and their eyes peering at their 3.5 inch phone screens are very likely to walk into you, or an immoveable or fast moving object. Facebook “Apps” have become prolific in the last 2 years. Video apps such as “Vevo for Artists” are popular, along with image and photo apps such as Instagram continue to reveal the power and importance of multi-media on the Facebook social network. 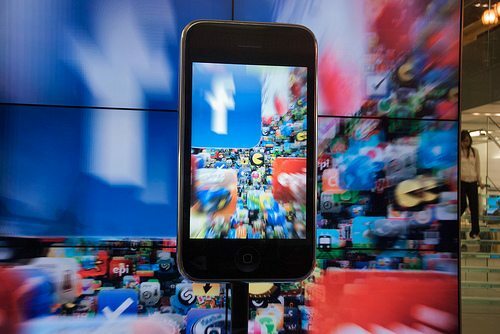 Most of the Facebook apps are entertainment focused but along with these frivolous but fun distractions, serious business and marketing apps have emerged. 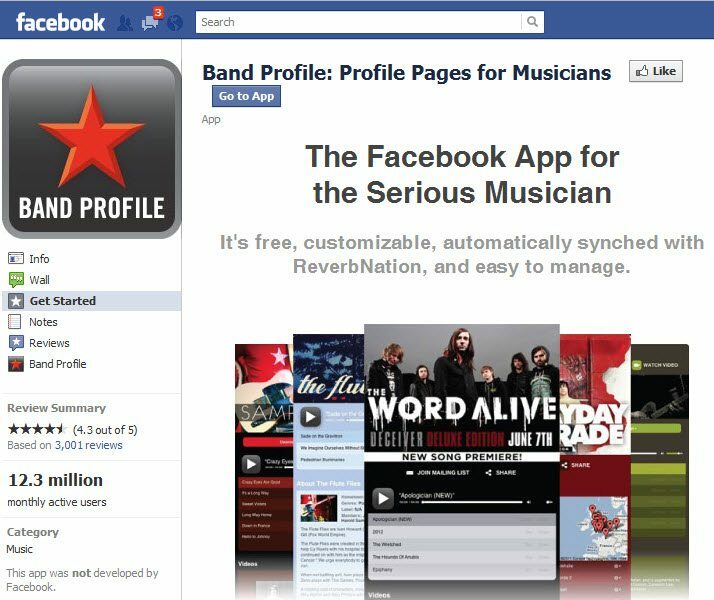 Apps can be used for creating custom tabs such as a “Welcome” page for your brands Facebook page, provide a complete environment to market your bands music or place your online store in Facebook. Most of the top apps on Facebook are for games and entertainment but amongst the top 500 apps there are a few that are some great tools to optimize your Facebook marketing. 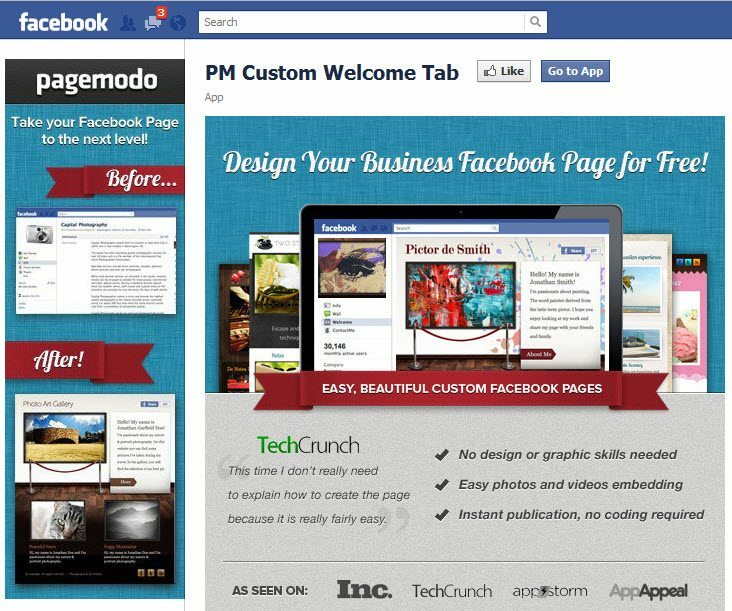 Pagemodo created a Facebook app that makes it easy for brands to create a much more visually and user friendly “Welcome” page tab as well as other tabs with website type functions. ReverbNation.com is the leading online music-marketing platform used by over 1,721,000 artists — plus managers, record labels, and venues — to grow their reach, influence, and business across the internet. ReverbNation.com provides free and affordable solutions to individual artists and the music industry professionals that support them in the areas of web promotion, fan-relationship management, digital distribution, social-media marketing, direct-to-fan e-commerce, fan-behavior measurement, sentiment tracking, web-site hosting, and concert booking and promotion. 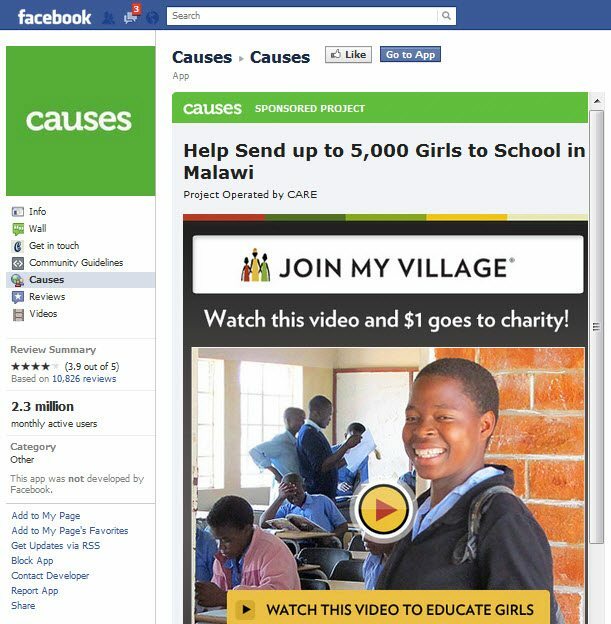 Their description of the app: “Causes strives to empower people to have a positive impact on the world“. Chocolate Bakery wanted to increase awareness but to also gain fans– it chose to use a sweepstakes with a cake as the ultimate winner’s reward. 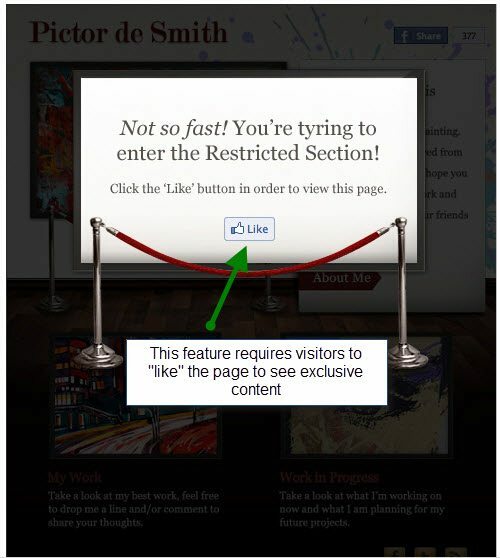 This type of promotion is engaging for users because of the chance to win a compelling prize. It also motivated them to “Fan” Chocolate Bakery in hopes of keeping up with future giveaways of the same sort. 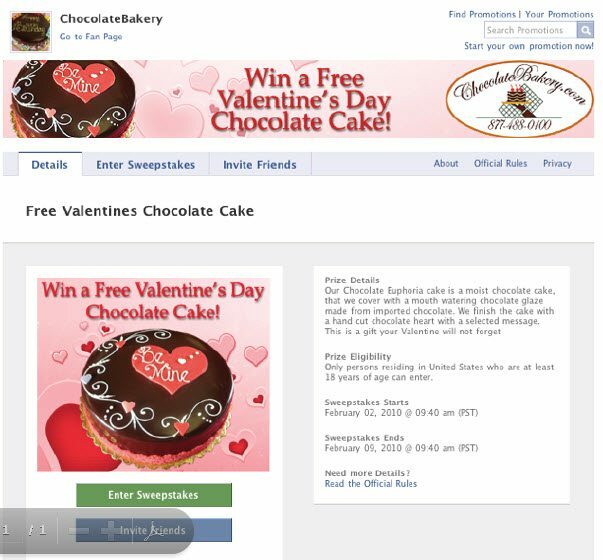 By running a standard sweepstakes, Chocolate Bakery received 264 sweepstakes submissions over 7 days and the buzz around the free cake grew the Fan Page Fans by about 250 fans over the two week promotion. 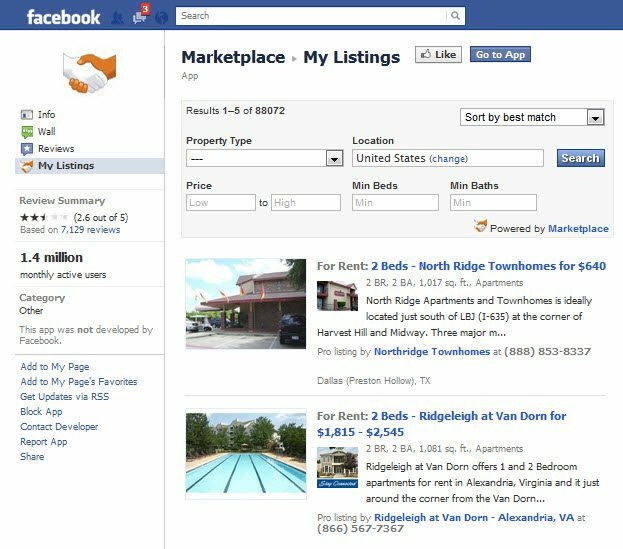 Facebook first introduced the Marketplace application on Facebook Platform in May 2007 as a way for people to post classified listings on the site. Marketplace helps people buy and sell furniture and household items in a trusted environment. Late last year, Facebook turned to Oodle for its expertise in online classifieds, and Oodle has built an entirely new version of Marketplace focused on giving people a place to buy, sell or give things away to the people they know.